It may be shocking to some, but anyone can be a teacher, really. With the mindset and will, anything is possible. But it’s not possible for everyone to be a great teacher as that takes dedication, passion, and drive to really want to improve and inspire others and yourself. You’ve been teaching for a while now and you’ve stumbled upon this blog because you want to know if you are truly a great teacher like all your students tell you. Without wasting any more time, let’s get into some of the characteristics of what makes up a great teacher. By the end of the blog, you’ll be the judge if you really are the greatest teacher ever! Being a teacher is an honor because you are the ones who educate, inspire, and encourage the children of the world to become CEO’s, leader’s, doctors, and anything else their little hearts desire. To be a great teacher takes time, energy, and most importantly your will to want to improve and learn for yourself. Some of the characteristics include but are not limited to, actively listening to your students, adjusting to each and every student and their needs, always learning for your own improvement and knowing when to have some fun and when to be more serious. Actively listening to your students is one of the most important characteristics for any teacher. When your students notice that you’re listening to their problems and struggles they feel more inclined to also return the favor and actively listen to your instruction. When teachers passively listen to students they’re not really paying attention or as much attention to the student and what is needed and this is where miscommunication starts to come into the equation. Plus it makes the students feel that they’re not being listening to, and no student ever wants that feeling. With active listening, your students know that they are being heard because they feel that you are working on their problems and concerns that they’re bringing up. Actively listening really works in your favor not only so your students feel that they’re being heard but also gives you the opportunity to adjust to each individual student. Each student you teach will be different from one another. They all learn in different ways and should be taught in different ways as well. The benefit of this for you, as the teacher, is that you learn a different way of teaching the same material and this enhances your own teaching style. For students, they again feel that each lesson is personalized to their needs and wants and they will always be engaged and improving in their practice. As the teacher, you’ll feel successful as your students are enjoying their practice, and you may even gain more student’s as they will tell their friends about how great their teacher is. So it’s a win-win situation as you’re also always learning what works and what doesn’t for your students. Being a teacher doesn’t mean that you’re only teaching students but that you’re also learning along with them. Just like active listening and adjusting to each student’s individual needs you should be learning with your students. A teacher’s knowledge doesn’t end when they graduate from school themselves but it’s ever growing. It’s important to think of new ways of teaching the same material and to also find new materials to teach altogether. Always come to class with an open mind and heart that you too will learn alongside your students and that you’re not only teaching them. Lastly, remember to have fun! No one ever said that learning needs to be boring and textbooks only. To help keep your students engaged make lessons more fun and engaging. 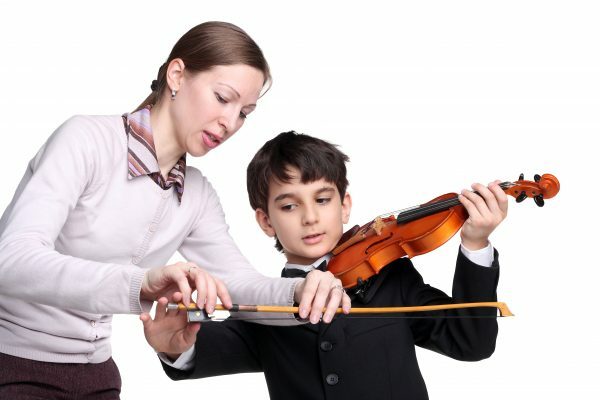 They’ll feel less bored and more interested in coming to lessons and will have the drive to continue practicing. It should be known that sometimes the serious teacher does need to come out and needs to make sure that the lessons and assignments are being done. A great teacher knows when the time to be serious should take place and when the time to have some fun is also needed. A good mix of both is important for the success of your students and yourself as a teacher.